This Online Automated E-Learning Reviewer for National Achievement Test – High School, 4th Year was made to help students prepare for the National Achievement Test in the Philippines. The National Achievement Test (NAT) is a diagnostic examination given by the Department of Education (DepEd) to all private and public schools in the country in order to measure the mastery of learning of students. It is given to Grade 3 (for primary education), Grade 6 (for intermediate education) and Fourth Year (for secondary education) students to find out whether the competencies suggested in the 2013 Revised Education Curriculum have been learned and/or mastered. There are five areas of examinations: English, Filipino, Mathematics, Scienceand Araling Panlipunan. The 3 articles in English are a, an and the. The learner has to decide noun-by-noun which one of the articles to use*. In fact, there are 4 choices to make, because sometimes no article is necessary. Native-speakers, of course, use the articles correctly without thinking. English learners, on the other hand, need to have some guidelines for making the right choice - particularly those learners whose own language does not have articles, such as Japanese or Korean. 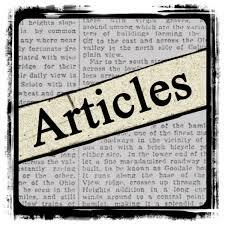 The guidelines that follow here should help ESL students to a basic understanding of English article use. - A count noun is a noun that can have a number in front of it: 1 teacher, 3 books, 76 trombones, 1,000,000 people. You cannot say a/an with an uncount noun. You use an uncount noun with no article if you mean that thing in general. You use the with an uncount noun when you are talking about a particular example of that thing. You can put both a/an and the in front of a count noun. You must put an article** in front of a singular count noun. You usually use a/an with a count noun the first time you say or write that noun. You use an (not a) when the next word (adverb, adjective, noun) starts with a vowel sound. The above rules apply whether there is or there is not an adjective in front of the noun. Uncount nouns are often preceded by phrases such as: a lot of .. (luck), a piece of .. (cake), a bottle of .. (milk), a grain of .. (rice). * Instead of an article, the noun can also be preceded by a determiner such as this, that, some, many or my, his, our, etc. 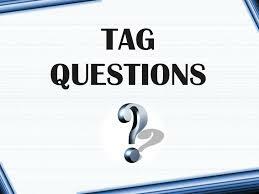 A tag question is a special construction in English. It is a statement followed by a mini-question. The whole sentence is a "tag question", and the mini-question at the end is called a "question tag". We use tag questions at the end of statements to ask for confirmation. They mean something like: "Am I right?" or "Do you agree?" They are very common in English. Notice that the question tag repeats the auxiliary verb (or main verb when be) from the statement and changes it to negative or positive. Direct speech: I like ice cream. Reported speech: She says she likes ice cream. Reported speech: She said she liked ice cream. Direct speech: The sky is blue. 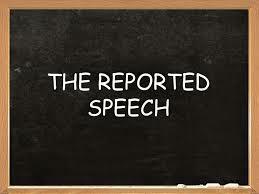 Reported speech: She said that the sky is/was blue. 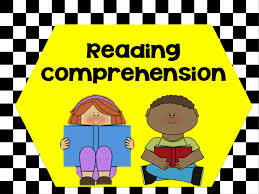 Part of reading comprehension involves using the other words in a sentence or passage to understand an unknown word. 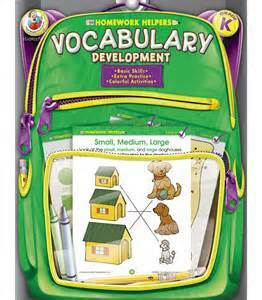 An author often includes hints, or clues, to help the reader expand vocabulary and grasp the meaning of the passage. Skill in using context clues enables a reader to comprehend advance texts. You can find synonyms in a synonym dictionary (thesaurus).